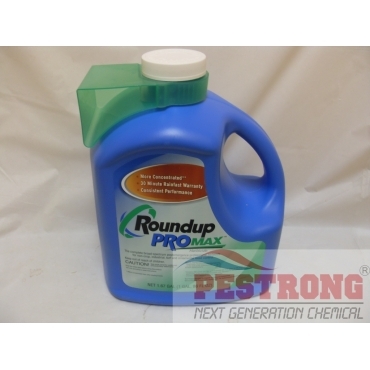 Where to Buy Roundup Promax Herbicide, Roundup Promax Herbicide - 1.67 Gal - $74.55 for Sale with Fast Free Shipping! Roundup Promax Herbicide - 1.67 Gal has more concentrated glyphosate as 48.7% that is non selevtive weed and grass killer. Garlon 4 Ultra Triclopyr Brush Killer.. It has a unique surfactant system that's more concentrated and gets to the root faster, so you don't have to worry so much about the weather and rain washing the product away. Strong stuff, good price and fast delivery. This got rid of weeds entirely within a week. Can't ask for more. Fully satisfied with this purchase. Product was exactly what I was looking for. Shipment arrived very quick after the easy checkout.